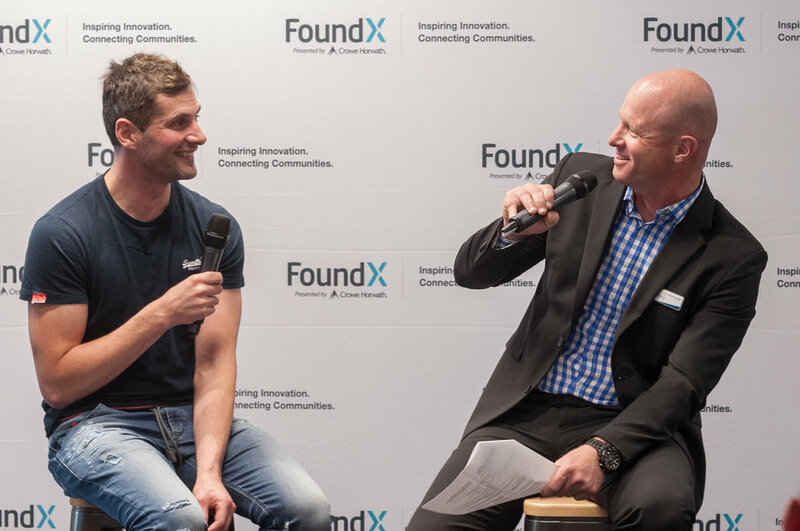 The following is a transcription of Dean Hall's Keynote Q + A with Scott Mason at our recent FoundX Event in partnership with Crowe Horwath. Scott Mason: Dean Hall, Everybody. So Dean, perhaps as a warmup you give a overview of your current enterprise Rocketwerkz and what the mission is there. Dean Hall: Sure. So Rocketwerkz is a videogame studio. We make me PC games, very much focused on that. We we're established in 2015. We started out with basically me, my sister, Stephanie, she's basically our head of studio and then a couple of programmers - and we've grown to, forty-five full time staff located just over in the glass building that's over there. Working across basically four different projects, which we develop concurrently and that's following a cell model. I actually found out very similar to the company called Supercell, which makes sense considering the name Supercell. They made a little game called Clash of Clans, I think everyone played. I don't play mobile games. Let's get that out of the way. Yeah, so we had Tencent join us as a minority investor, all of the rest of the money was money I made making a game called Day-Z for the PC market, that I made and sold to a company in the Czech Republic and then moved back here. And there are some notes up there for those who don't know Tencent. They're worth more than Facebook in value. They bought Riot Games who make League of Legends, they bought Epic who make Unreal, one of the engines we use in some other games. They're the biggest video game company in the world and I think they bought Supercell. Someone might correct me if I'm wrong. I think it was 8 billion dollars or 10 billion. It doesn't matter at the point right? (laughter). The largest transaction in video game history. And you know when you compare that to Disney buying Star Wars for 6 billion, it just shows you considering Clash of Clans barely existed that long ago. So yeah and then we've got basically the NZ Game Dev growth. So you can see it has been going pretty good. And often that hundred million dollar figure is told as being really good but I actually see it as really bad. We're massively underutilized considering the amount of creative people in video games in New Zealand and everyone is asking the question why that is. When I worked in the Czech Republic there was a lot less people working. Or I guess with the skills, I felt, and the creativity to work in the industry but they were making two orders of magnitude. Basically more than that, making a huge amount of money. Scott Mason: Awesome, so you referenced during that chat about Day-Z, which for those of you who aren't really game players, is a zombie apocalypse game. Nobody's nodding so not too many players in the room. Okay so how did you get from working in the armed forces to working in Czechoslovakia and taking Day-Z to the world? Dean Hall: Yeah so I guess I've always been interested in computers, since when I first saw them. I think I first got using a Commodore 64- it was our cousins' -and it had the old monitors with the old refresh rate and I sat on it for 8 hours and they came back and I was literally green and I vomited everywhere. So my parents ended up buying an Omega and it was on Omega I first learned to use peek and poke which is writing directly to the memory so I was able to draw images on the screen and that was kind of the start of it, but video-games wasn't really a pathway I ever thought was a real thing I could do. It was something that was done in America and not here and I actually went to school with Chris Butcher who went to Otago uni -famously he did a PhD at 15 and everyone thought he was going to go cure cancer, and he went off to work with a little known company called Bungie, who went onto make Halo and he's now a tech director there actually we're trying to get him to come back here. So, I went to school with him. So, yeah both of us did quite well. So he was a lot smarter than me though, we'll just get that out of the way. So, I was always doing video games in my own time. I had started a couple of non video game businesses but they didn't really go anywhere and I ended up losing, well not a lot of money in hindsight, but at the time it seemed like a lot of money. So, yes, I had sort of a bit of a background in business and a bit of a background in video games and I was always making video games in my spare time and I was in the military and stuff like that. Scott Mason: Excellent, so what was the biggest step from the military to being an entrepreneur, do you think? Dean Hall: I mean I guess because I studied commerce it wasn't too bad. I guess I was always doing both at the same time. In the military, you often finish at 4:30 in the afternoon- I'm a civilian now so I don't say 16:30- but so you know you have got a bit of free time. I always lived on base so it meant that I had my food sorted and stuff like that so it always left me a lot of time to tinker. I think a lot of people thought I was crazy because I would just make these games- they're mods- so it's basically you take someone else's game and you make something new with it, and it was where Day-Z came from; it was taking someone else's stuff and making something different out of it. And I think doing it actually taught me a lot about what, say, with a video game- we talk a lot about game loops, so what makes the game loop fun and what doesn't. And sometimes when you have these constraints you're forced, your design decisions are forced and so you can actually come up with these unique ways of doing things. Scott Mason: Well excellent, well you referenced briefly some of your other early ventures, and so I'd be interested in what were sort of the lessons you learned from perhaps not great success. Okay, failures. And how would you compare those lessons to what you've learned from the success of Day-Z. Dean Hall: Oh man, this is like going back and looking at your Bebo profile, or your MySpace profile. Cringe. So, I mean I think one of my ideas was called Ubuy and it was like the site that did all the eCommerce stuff for you, so you could just open a store and sell stuff. But we got absolutely smashed-this is like five years ago- by how credit card gateways worked and a whole bunch of other stuff and it just sort of went no where, and we spent a lot of money advertising in places that just made no sense. You know, Facebook ads wasn't a thing. And then another one was called Get Booking which was the same thing but for bookings. But I started doing that at a time when, you know like 2006-2007 you know when things were just starting to sour and you know hairdressers and that didn't really want to go out and deal with the system and stuff like that. So, I think all those times one of the common themes I felt was I hadn't really prepared for success. So whenever I had a little success and I think if you look at even our studio we're doing now, there are points that come along that if you don't capitalize on the success at that point- and it might be quite a minor thing- then you just go down. So maybe you don't make a good impression with someone you need maybe as an investor or maybe as a partner; or you know you under-sell something at the wrong time. So I felt like one of the biggest things I never learned was preparing for success and I think as New Zealanders we can be particularly bad at that. And I find this a lot and it's one of the reasons that we really like you because I think you understand that you have to take risks. And in our industry it's just all risks. It's all bad news, it's like choose the worst one for bad news. I think being prepared is not just knowing what the risks are, you have to pick one; and so you pick one with a mind of how that success can drive you and I think that was something that took me a very long time to figure out. Scott Mason: So what about the flip side- on the success of Day-Z do you think that changed your view of the world? Dean Hall: Yes and no. I mean it's kind of... I thought it might have changed me a lot more than it did and I think like when I talk to my sister it didn't really. You know, it kind of just gave more options. My plan when I reenlisted in the army was always to open my own video game studio, it's just I was able to do it 10 years earlier. In some ways that was good and in some ways that was bad because Day-Z was a viral thing, so it happened very fast. We didn't have time to adapt, we were making decisions and by the time we finished making the decision the whole landscape of early access - which is the method of marketing video games; selling video games -had changed. And so people start blaming you about decisions you've made when the parameters for those decisions didn't even exist. So I guess that kind of comes back to the point I was saying about preparing for success- we always assumed that our concurrent users were never going to go up and part of that is because psychologically you don't want to think about your concurrent users going skyrocketing because you don't want to get disappointed if it doesn't. But that means maybe you're not really well prepared and maybe you're not sort of ahead of the curve in terms of what you're trying to do. Dean Hall: I mean I think if someone really wants to invest in you then their investing in you. And so I think that means you've got to be you. So we always made sure it didn't matter who we were talking to. We talked to a lot of people. We made sure we stuck to what we were doing, because that's what we knew. We wanted to make video games, and we wanted to make video games in the PC market; and a lot of people were like why are you doing that in Wellington and why are you doing mobile, why aren't you doing this.. and so first of all we're looking for who has the same DNA as us. And I think when I first met - there were a couple of people in Tencent I met, and we were on the same wavelength. They thought exactly the same as I did that there was this area in PC games that it wasn't super well exploited but there was a great way of making money and producing good products. That's not... instead of spending eighty million dollars making game maybe you can spend five million dollars and get a really good return on it. And so I think the key thing for me was finding people who had the same DNA. It's the same with your customers, finding a good customer and not wasting all your time on potential investors who are just kicking tyres because I think there were so many people who wanted to have meetings with us simply so they could say they had meetings with us. Justify their hotel or whatever. And I really think that was a common thing. So I think we focused early on on trying to weed out those people and I also think scarcity helps a lot there. If they know that... if we felt that someone wasn't taking it seriously then we just canceled a meeting. Obviously it's a fine line, a fine line sort of thing to do. And it did help that I was independently wealthy so I could fund the studio myself. And I think for us like every startup has unique challenges. For us it wasn't so much the funding. It was definitely finding... it's kind of like in a medieval marriage -it's not just about the marriage is about what each party is bringing... I play a lot of Crusader Kings II. You know you're trying to set up your dynasty, and it's the same thing. So, yeah, there will be a lot of video game references. Scott Mason: I know that feeling of people just wanting to meet because they can say... no I'm kidding! (Laughter) so they can say they've met the accountant! So it's probably said that you've got bit of an unorthodox approach to managing and recruiting employees into Rocketwerkz. So tell us about your views on people management and some lessons you've learned along the way. Dean Hall: So, I think I kind of break it down into three categories. There is management which is what my degree is in, and I don't think that works. Then there is command which I learned in the military and that doesn't work either. And what I found was that people who make it work is through leadership. But I think the problem with leadership is a lot of that is about who you are and we're all flawed. So it means you're not going to get it right all the time and I think that's the idea behind how we run the studio with the cell model. There can be a lot of conflict in terms of how we set things up -so an individual team can have several components that are completely independent and they'll fight amongst each other and people fight with me so it can be quite conflict-oriented sometimes . But I think we did that because we have to get rid of those bad ideas. And I think that leadership doesn't just come from your CEO or head of studio or whatever. We try and get the leadership to come from within the teams; because I think that's when you get really good decisions happening. Scott Mason: So you're in the ODT talking about the concept of unlimited leave. So what was your experiences reflecting on that, you know, a few more months on. Dean Hall: I think the worst thing about that is that everybody was asked about it, so they always say "look nobody will be at work! ", but I think actually if you look at 99 percent of people in the world they want to do something, you know, as human beings we do stuff and if we've got nothing to do then we're going to do stuff. We're going to draw things on cave walls or go to the moon or something, people are going to do stuff. Elon Musk just putting a roadster into Mars orbit just because. I think that people just want to do stuff and a lot of how things are structured are... in a way they deal with the one percent of people who may be at a certain point in their life where they're just not really hearing anything and they're not really prepared to do anything. So we wanted to try to structure the studio in such a way that supported that, and it's not perfect and it's not all sunshine and rainbows- which I really try and tell everybody. It's the same at Google labs- it's not all sunshine and rainbows. And, I think that one of the big things that we found as well was thinking about like guerilla warfare. You know we're not the best, and big, Epic video game studio or Rockstar and you know we can't be beggars then, we don't have the same size teams; we can't throw 80 designers making content. And it's like guerilla warfare- if they're big, that means they're slow. So we are small and fast. So we try and follow where we think the market's going. And then I think that the idea of how we set up the culture of the studio was that. It was like, where can we hit them? Well they're big, they've got these big bureaucracies and they don't have very good bonus structures. You know it's all who is this person's friend- that kind of thing, it's high up in the company who gets the good bonuses. And so we wanted to try and turn it all on it's head because it was a way that we could compete with those big studios; the huge American Studios in a way that they could never compete against us. And it's very similar to a book, quite an old book now that I read, called Blown to Bits which talks about how Encyclopedia Britannica got chopped down by a really crappy Microsoft product called Encarta which Microsoft couldn't even sell. So it's the same kind of thing, I think if you compete with companies in ways they simply can't adapt, then you just destroy them. Scott Mason: You've been quoted as saying you think gaming consoles will see the end of days. So where do think the future lies- is it VR, or augmented reality, or what? Dean Hall: Well, I mean, I think I was wrong there, you should not listen to what I say, is the first lesson. And no, I think consoles is interesting because consoles have actually adapted and they've just become PC's and you know Microsoft started that trend before. I care about video games because they're video games- I don't care about the what, and the how, and to me the programming is just the means to and end. We tried out VR, I tend to be a bit of a skeptic about a lot of new technologies because I want to see how it's applied and I want to see the monetization model and I want to see people adopt it. And maybe I'll just get more and more bitter and jaded as it goes on but you know I tend to get like that and you know we tried out VR and I think it's definitely got legs but I think I'm just very cautious about throwing money at something that you necessarily can't see the market. And you can totally do that if you've got really deep pockets. Maybe I need deeper pockets before I want to spend too much. 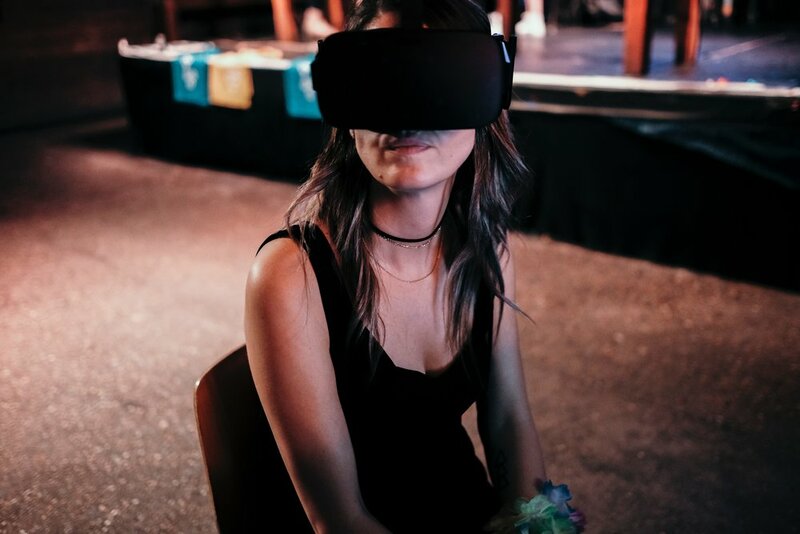 Scott Mason: Fair enough, I was quite horrified when I had a crack at your VR game. Dean Hall: So were we when we sat down and... (laughter). Scott Mason: Actually, I was good. (laughter) What blew me away, not being a gamer at all, is how quickly in my suit I was crawling around the floor into firing position. Dean Hall: We actually had a politician, I won't say who they are, because I think that's a bit unfair. But they were playing one of our earlier games and we actually ended up canceling the game and we joked, sort of to the politician because that it's because we saw they were playing the game. So- that wasn't entirely true but it's a good funny story. 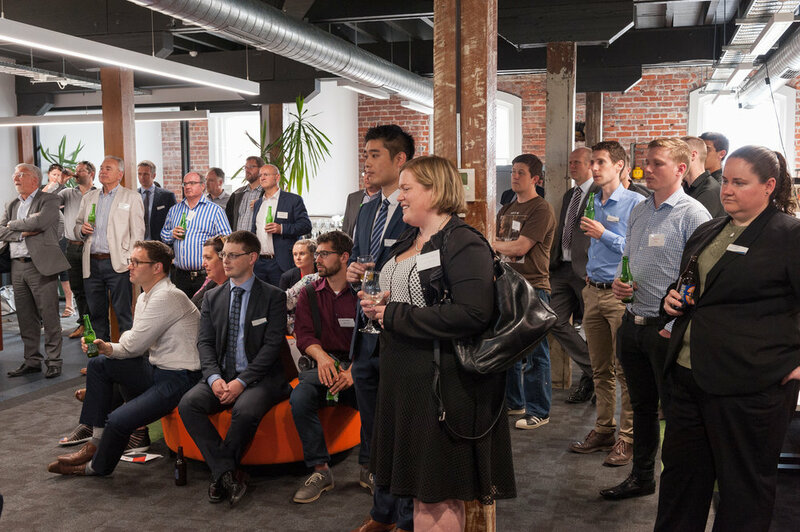 Scott Mason: Good story for the NZTE. Scott Mason: So we've got a lot of people involved in start ups in the audience tonight. So having reflected on your journey to date what are two or three key lessons that you can share with them. 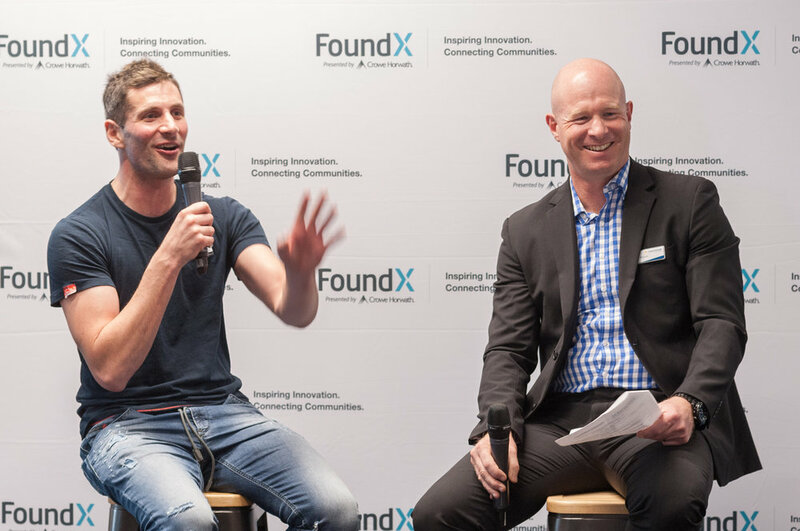 Dean Hall: I think the most important one is just surround yourself with really really really good people and get rid of the bad people -particularly from that early stage. If you look at I think any start up- big or small -that's ended up being successful in their area it's because they had really good people and got rid of the bad people early on. And I think it's really hard to get through that and that stage but I think that's just one of those obvious things that people just keep saying and if you've got a start up you need to keep that in your head and be playing that devil's advocate. Have we got the right people involved? Are the right people at the strategic level? Dean Hall: And I wasn't expecting it to be good because I was speaking at the conference, so I wasn't really paying any attention. But it was amazing and the guy was talking about how Unity- they make a game engine. He was saying that basically if you're not sort of looking around- he likened it to flying a plane and you think everything's going fine and you look around and everything's on fire. I thought it was kind of a good way of thinking about it. Sometimes if things aren't kind of on fire and going crazy then maybe you haven't sort of got the throttle pushed forward far enough. And I think the last one to finish on will be what I said before which is planning for success. And so that means thinking about what happens if your product does go viral. Do you have the capacity to deal with it? And the success isn't typically just one thing happening, it's actually a lot of little things. So you need to prepare for all those little success markers and the kind of things you have to punch through. Scott Mason: I think that's a really good lesson in business generally is just sometimes stopping and taking stock; looking at what you've achieved. And that gives you the confidence to carry on going forward- particularly in an environment that's unfriendly and you're feeling a little bit isolated. I think the other point I'll pick out of that is putting an investor hat on when I'm looking at a business. The first thing I always start with is the people. If you don't get past the people you you'll never look at the ideas, because fundamentally if you don't have the right people; the right team in place- whatever you believe if you don't put together the right team that's never going to work. I think that's bang on. Okay, so before we do some questions from the audience, I thought we'd do a little bit of fun. I haven't shown Dean this but I've got 10 questions in 30 seconds. Dean Hall: So that's 10 questions for the whole 30 seconds? Scott Mason: Exactly. Not 30 seconds a question! So we'll start off easy as a nice easy warm up and then we'll go from there to increasingly personal and embarrassing- no I'm just kidding! I wouldn't do that here. Scott Mason: So, favorite color and why? Dean Hall: It's blue and I can give you the X code its 3366... (laughter) and it's amazing! Scott Mason: Best childhood memory? Dean Hall: Playing UFO Enemy Unknown. Scott Mason: Greatest personal achievement outside of gaming? Dean Hall: Climbing Mount Everest. Scott Mason: Most beautiful city in the world? Scott Mason: I like that, appeal to the locals! Government assistance - positive or negative for start ups a your experience? Scott Mason: Okay, dogs or cats? Dean Hall: Cats. They're easier. Scott Mason: Your personal hero or someone you'd like to have a meal with? Dean Hall: I like listening to his audiobooks, they're the only audiobooks I listen to. Really good speaker. Scott Mason: Favourite TV show you binge on? Dean Hall: Probably Mad Men. Scott Mason: Donald Trump- yay or nay? Love hearing from Dean? We might just have some bonus content out soon. Subscribe to make sure you don't miss it!